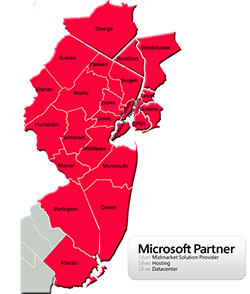 Looking for IT consulting firms in Edison, NJ? Look no further. Integrated Computer Services can meet the needs of businesses of all sizes searching for reputable IT consulting firms in Edison, NJ. Our IT experts can provide your organization with a host of powerful technology-support products and services that will enable you to more effectively run your business. With proactive management and monitoring services, responsive, knowledgeable professionals, and a relentless focus on leveraging technology to support your business' core objectives, ICS is ideally positioned to help your organization exceed its goals in 2018 and beyond. Unmatched IT Security: One of the top reasons local organizations are searching for reputable IT consulting firms in Edison, NJ, is to bolster their protection against to the inherent security risks that come with operating a business today. Despite the incredible opportunities that today's advanced technologies bring to businesses, they also present serious concerns. Unfortunately, as quickly as new technological capabilities are rolled out, hackers and other cybercrooks develop ways to exploit these for financial gain. Luckily, advanced IT security firms like ICS roll out their own patches, protections, and safeguards just as rapidly, combating security threats in real-time and monitoring your network 24/7 against breaches and other malicious attacks that threaten your company's livelihood. We never rest in order to give you total peace of mind. Responsive and Proactive Support: Not only are we responsive to your needs, we aim to operate one step ahead of you at all times. Before you even have to pick up the phone, our sophisticated monitoring systems and advanced IT support teams are meeting your needs, anticipating challenges, and combatting threats. If you call us with a problem or question, you can count on us to be available with unsurpassed customer support. In addition to providing technical support, we offer our expertise in helping you develop your strategic business plans. We sit with you and offer suggestions and guidance on how technology can support your organization's goals and help you achieve them more quickly and with increased efficiency. Are you concerned about employee productivity? Frustrated with your current IT company? Concerned about the increasingly alarming security risks to your organization? Businesses like yours contact the premier IT consulting firm in Edison, NJ, to meet their needs: Integrated Computer Services. Call us today to speak with an IT management specialist!